The latest digital SLR camera from FujiFilm promises to deliver images with stunning dynamic range and color, but do the actual results live up to that promise? Compiled here are links to various Fuji Finepix S5 image samples and galleries that I think do a good job in showcasing the capabilities of the camera. A note will be made where the full-sized photo is available. My thoughts and comments on the pictures are also appended. FujiFilm.com has provided four full-sized S5 photos for evaluation. Unfortunately, not much has been mentioned at the site on what lens or camera settings were used, other than the fact that film simulation modes F1b, F1c and F2 were used. 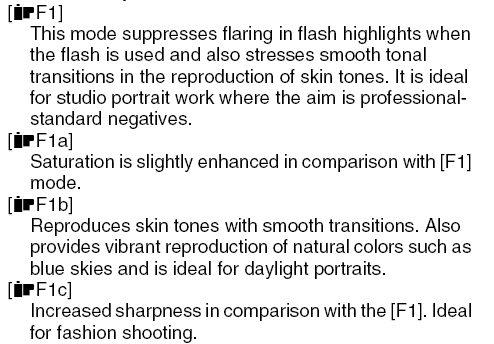 Page 111 of the Fuji S5 Pro PDF User Manual, the F2 film simulation mode gives “vibrant reproduction of naturals colors such as blue skies and is ideal for landscape and nature photography”. The F2 mode is also known as the Fujichrome mode (page 109 of the manual). This Japanese site has never failed to impress me with their samples, and this particular gallery show off the ISO 3200 capabilities of the S5 Pro, and compares it head-to-head vs. the Nikon D200 and the older Fuji S2 Pro camera in a night scenery capture shootout at all ISO levels from 100 to 3200 (ISO 200 is skipped). There is also a variety of high-ISO street and candid photography which makes for interesting viewing. In this post, Packy compared ISO 1600 crops from the S5 Pro against the Canon EOS 30D. Louise Vessey of http://www.lightandvision.com shared this set of absolutely stunning baby portraits shot by the light of the window. No postprocessing done on this JPEG files (that’s right — they’re “merely” JPG files, not RAW) except for resizing. Shot details are ISO400, f/2.8 and 1/100 seconds. Lens used was the Nikkor 50mm f/1.8D AF, and the camera was put into F1c film simulation mode and AWB (Automatic White Balance). These are some of the best baby portraits I’ve seen to come directly from the camera — the highlights look natural and soft, and the colors are extremely pleasing. Louise has also made available an unretouched full-sized image of the baby, direct from the camera. I have to admit, I had never seen a smoother and richer ISO400 photo before this. The tonality is absolutely flawless, and the highlights do not look harshly blown at all. There is also absolutely no hint of noise in the darker areas of the photo. IMO, Louise has effectively demonstrated why Fuji can continue to claim to have the best digital SLR camera for shooting JPG images — no need to go through the hassles of shooting RAW to extract the best possible image quality. Lastly, Louise shared a lighting tip — a silver reflector was used to bounce some of the window light back onto the baby. Carpeicthus (aka Ryan Brenizer) posted a single photo of a fashion model shot with the Nikkor 85mm f/1.4D lens mounted on an S5 Pro. The photo is straight out of the camera except for an application of a custom curve and resizing. An excellent picture, in my opinion, for evaluating the Nikon lens and the color you can get from the S5 Pro plus a bit of curve treatment. Enjoy more excellent photography over at Ryan’s Flickr gallery.